Located just above Center City West and known for its tree lined streets, old row homes and museums, the Fairmount neighborhood of Philadelphia boasts an amazing mix of romantic, family living and single young professionals. From historical monuments like Eastern State Penitentiary, which keeps guests entertained — especially on Halloween — to the stroll down the Ben Franklin Parkway, Fairmount has a leisurely and eclectic draw. Read ahead for our guide to ten cool things to see and do in Fairmount, Philadelphia. Once a high-security prison, Eastern State Penitentiary is picturesque with its stone walls and turrets. Visitors can expect to see amazing things from Al Capone’s furnished cellblock to history exhibits and art installations, and when there, definitely opt-in for the included audio tour narrated by Steve Buscemi. With so many it’s easy to spend a whole afternoon there. In July, visitors can take part in Bastille Day, and during the Halloween season, it turns into a horror house at night. Tickets for regular tours are $14 for adults and $10 for students or kids. This world-class art museum is one of the largest art museums in the United States and boasts over 227,000 objects, spanning from world-class European artworks to American paintings, prints, drawings and other decorative arts. The museum even houses Asian art from the third century BCE. For a fee, they also showcase around 25 special exhibits of world-renowned artists or movements. Patrons can see works from suits of armor to a Japanese tea house. Check out the breathtaking views of the cityscape or the Schuylkill River outside the architecturally stunning main building. Admission for adults is $20, and children 12 and under are admitted for free. Kelly Drive runs along the Schuylkill River and boasts some of the most scenic views in the city. It’s a perfect destination for many activities — throughout the year, it’s a popular destination for bikers and runners. As you walk down the path, you’ll make your way to the bike pier on the river with views of the Walnut and South Street bridges, but you can also find fishing spots, picnics and skate parks along the way. By the Art Museum, you can find the Schuylkill River Loop and Boathouse Row. Visitors can also find free parking behind the art museum on weekday afternoons. Further ahead, stop at spots like In Riva where you can grab a beer or oven-cooked pizza while watching the river. 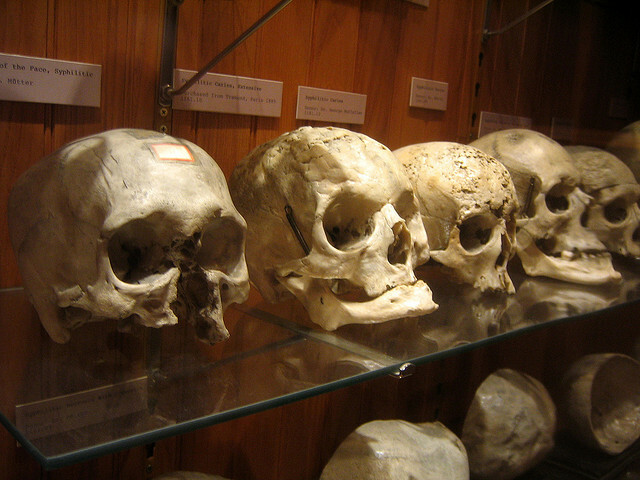 The Mutter Museum is well-known for its peculiarities and oddities of the 19th century medical world. The first museum of medical history, the collections show anatomical specimens, medical instruments and models. The cabinet museum showcases everything from rare skulls to the soap lady to a history of medical developments. Keep an eye out for when new exhibits come into town. Admission costs $16 for adults and between $11-$14 for youth and seniors. The Rodin Museum boasts the second largest collection of Auguste Rodin’s work and is a tribute to every phase his artistry. 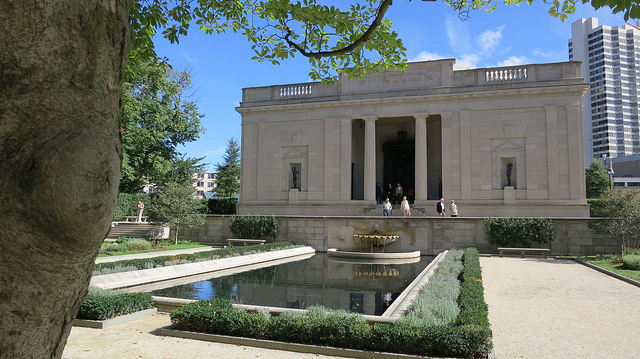 The garden with its reflection pool is a main feature of the museum that showcases eight works, including ‘The Thinker,’ ‘The Gates of Hell’ and the return of ‘The Shade’ and ‘Adam’ sculptures. Inside the Art-Deco building, patrons can find Rodin’s paintings, the works of Honore de Balzac and over 140 bronzes, marbles and plasters. The tranquil setting and outdoor mirror pool is nice for a date spot. The suggested admission is $10 for adults and under $10 for everyone else. 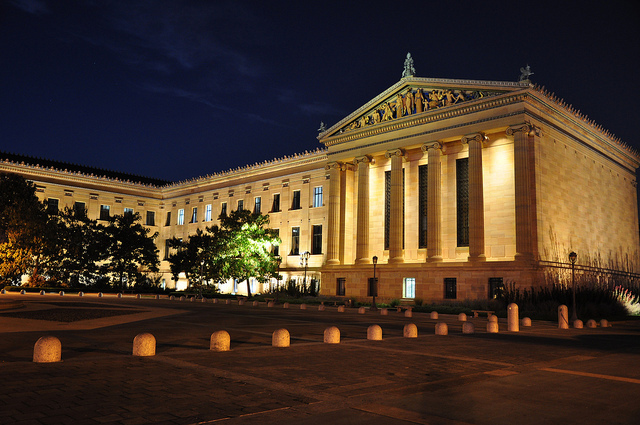 A favorite for both children and the curious adult, The Franklin Institute offers something for everyone. From science exhibits explaining global climate change to famous special exhibits such as Body Works, Pompeii exhibit, Egyptian artifacts and many more. Also, take advantage of their special events and IMAX theater which hosts some of the latest films and science documentaries. If weather permits, you can also take advantage of their observatory. Admission for adults is $19.95, but children ages three to eleven get in for $15.95. 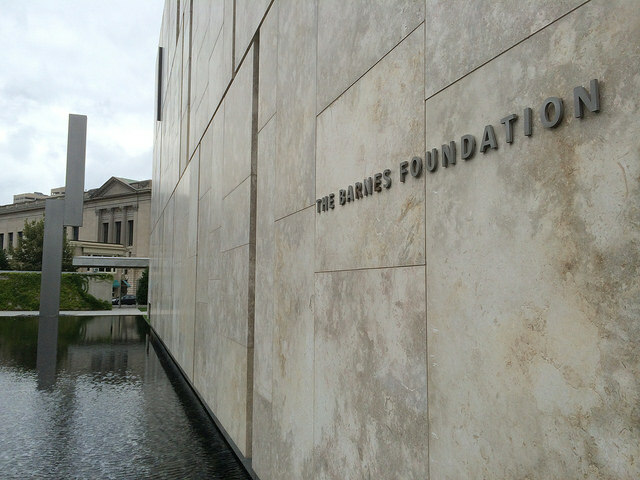 Located on the Benjamin Franklin Parkway, The Barnes Foundation is admired for its collection of Post-Impressionist works and early Modern paintings including works by Renoir, Cezanne and Picasso which makes it one of the must-see attractions of Philadelphia and one of the top destinations in the world for art lovers. You can also find African sculptures, indigenous ceramics, jewelry and textiles, as well as American paintings and Mediterranean antiquities. On site, you can also find the Barnes Arborteum which contains more than 2,000 varieties of trees and plants—some of which are rare. Tickets are priced at $22-$25 for adults and $20-$23 for seniors. Although student tickets cost up to $10, everyone else can get in for free. The ornately sculpted Swann Memorial Fountain is a centerpiece of the city, located in the center of Logan Circle, surrounded by the Academy of Natural Sciences, the Franklin Institute and St. Peter’s Basilica. On summer days, it’s a perfect spot for a quick lunch or to rest while children (and fun adults) play in the fountain. The fountain’s indigenous sculptures named after the rivers and creeks around Philadelphia. In evenings, it’s a picturesque sight with the City Hall clock tower in the background. If you’re looking for a popular eatery in the Fairmount district, Iron chef Jose Garces’ Buena Onda is right by many of the major attractions. Buena Onda serves cuisine inspired by the Baja Penninsula’s favorite haunts. Guests can choose from nine different types of tacos, like the fish tacos hat come either battered or tequila glazed with jicama slaw, avocado and their mouthwatering chipotle remoualde. Don’t forget to try their raved-about guacamole as well. Plus, you can get a small, free beer while you wait. It’s also great that it’s budget-friendly. Nestled on tree-lined Poplar Street, The Belgium Cafe is another perfect destination for beer aficionados and Belgian-inspired food. Serving over 200 bottled beers from all around the world, you’re bound to find one of your favorites on the list. From Belgian farmhouse ales to twelve in-season beers like Christmas ales during the winter, you’ll be sure to be satisfied — so when you do try the mussels with frites and dipping sauce, you actually might die from happiness. The perfect spot for winter or to sit outdoors in the warm months, the cozy cafe is worthy of a trip if you’re in Fairmount.